So you want to make some homemade soap? Just like consulting a cookbook, starting out by using a recipe from a book or website is great. 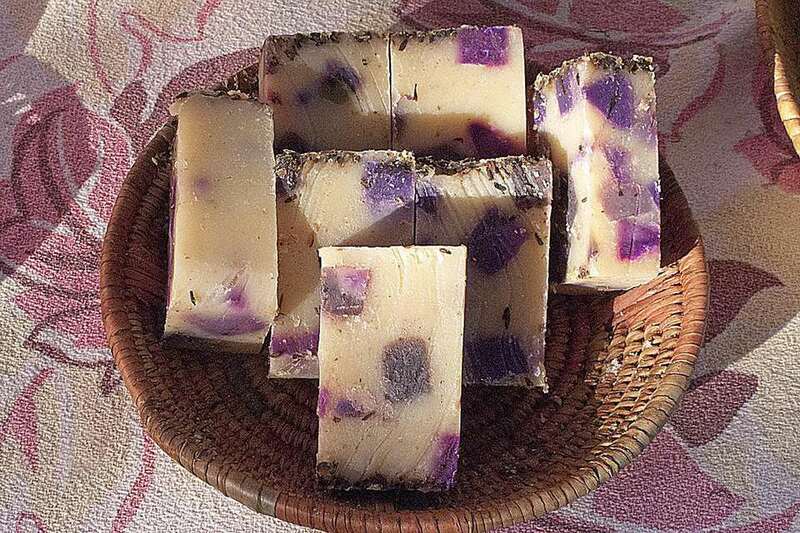 It's good to learn the craft of soap making by using a tested recipe at first. But think of those recipes as just a starting point—because there's nothing quite like creating your own recipe from scratch. Whether it's because you only have certain oils on hand, or you're looking to create the perfect bar of soap, creating your own recipe allows you to control each and every ingredient. Many oils will have multiple characteristics, for example, shea butter is super moisturizing and makes a very hard bar of soap as well. Coconut is primarily used because it makes a great lather but makes a super hard bar too. Tallow is primarily used as a base oil (hard), but it makes really creamy, moisturizing lather. That would be a great, balanced basic bar of soap. This is a great, basic recipe for soap. Many soapers also swear by adding 4-6% castor oil to their recipes. It increases the lather and gives the soap a nice creaminess. See how it's balanced with a combination of hard, lathering and moisturizing oils? After you have decided on a balance of oils, you just need to run your combination of oils through a lye calculator of your choice and you're ready to go. Don't be afraid to experiment. Share your experiences with others in the soap making a community. Take good notes in your ​soap notebook, and above all, keep on soaping!